The Record Company, a power trio known for their blues-styled rock, are coming to California to finish their current 2018 tour. The three-man group play at the House of Blues in San Diego Nov. 9 and The Wiltern in Los Angeles Nov. 10. 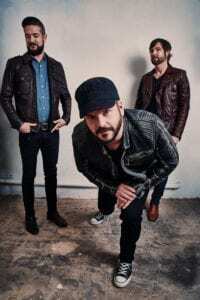 Chris Vos, the band’s lead vocalist and who also provides guitar instrumentals for The Record Company’s songs, says he looks forward to these two shows. The region is the home of Vos who says there could be no better place to end his group’s current tour. It’s also in SoCal, specifically in Los Angeles, that The Record Company first formed in 2011. The band’s roots go back to 2010 though as that’s when Vos first met Alex Stiff, the group’s bass player, who took a liking to the music Vos had produced. It wasn’t until after a later meeting with Stiff and Marc Cazorla, who would become the group’s drummer, that the idea to form a band began. From there the group began playing locally and self-released their first music as a 7’’ single vinyl in March of 2012. However, the group’s tenacity and innovation has helped the group finally reach the musical mainstream earning critical praise, musical appearances in film and TV and even earned the group a Grammy nomination in 2017 for Best Contemporary Blues Album Give It Back To You. These accomplishments are owed to the group’s unique take on rock and roll best described as blues rock: a fusion genre combining elements of blues and rock. 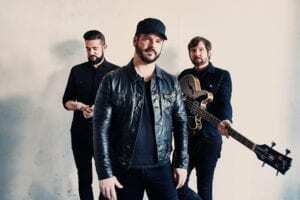 While this mixture isn’t new and has been around for years, Vos says that he and his bandmates, in composing their songs, do their utmost to make the music they produce as fresh and new as possible. Vos says that the biggest reward he gets from completing these songs, specifically the ones Vos and his fellow band members made for the group’s recent album All of This Life, is being able to play them live. Though Vos says he’s enjoyed playing in venues like the Red Rocks Amphitheatre and Madison Square Garden, he isn’t picky in where he likes to play live music. After the group’s upcoming Nov. 10 appearance in Los Angeles, Vos and the rest of The Record Company will not be touring again until March which will see them go to Europe. Vos however says that The Record Company will keep playing music whenever opportunity allows in-between these tours and in the future.